Thank you for helping make my husbands 40th party a real success!! The hog roast was amazing and had all the guests raving about it!! The vegetarian options were also amazing and again our guests were very impressed with how tasty the veggie kebabs and chickpea burgers were!! It was great that you were able to cater for all. Thank you again and we will be sure to recommend you!! If you’ve got an event coming up in Suffolk and you’re looking for catering, why not go one notch better and lay on a hog roast or BBQ from Parker’s? Exquisitely prepared and presented by our very own staff, your guests can expect succulent prime locally reared meat cooked to perfection. Parker’s Hog Roast and BBQ’s in Suffolk will cater for your event, whether that be a wedding, birthday or any other celebration, with a tasty roasted hog, crispy crackling, marinated meat and mouthwatering vegetarian kebabs are just an just a sample of what we can offer. Take the worry and stress out of the catering for your event in Suffolk while our team get to work. Experience shows us that the hog roast or BBQ itself is often the centrepiece for events but we know you’ll want to socialise with your guests instead of concentrating on the catering. Below we have more information about what we do but you can also use the button below to contact us for more information and to help with planning and advice for your hog roast or BBQ. Shopping around for hog roast and BBQ’s in Suffolk will usually bring standard prices that mean you have to do all the work. Parker’s prices include the staff to do all the work for you. With experience of hosting hog roasts and BBQ’s for many different occasions across Suffolk from private parties and celebrations to fete’s and public events as well as corporate events, we have the know-how and skill to make your event one to remember. 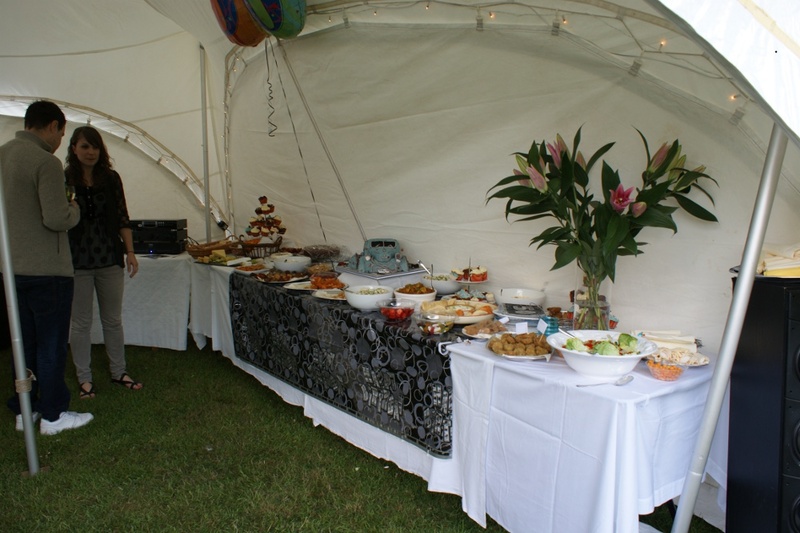 Our Friendly team have extensive experience in outside catering. Preparing and cooking hog roasts and BBQ’s for all different types of events be it public or private. With the relevant health and hygience certificates, you have no need to worry about anything. So, whether you’re planning a birthday in Bury, a christening in Clare or a wedding in Woodbridge, a hog roast or BBQ is less formal than a sit-down meal. It strikes the right balance and gives your guests a meal, and a day, to remember. The organisation and reliability of Parker’s Hog Roasts and BBQ’s are the qualities our customers have come to rely on to take the stress out of there event.